PHOENIX — In a harshly worded critique of the country’s best-known sheriff, the Justice Department accused Joe Arpaio of the Maricopa County Sheriff’s Office of engaging in “unconstitutional policing” by unfairly targeting Latinos for detentions and arrests and retaliating against those who complain. Maricopa County Sheriff Joe Arpaio in El Mirage, Ariz., on Dec. 5. After an investigation that lasted more than three years, the civil rights division of the Justice Department said in a 22-page report that the sheriff’s office has “a pervasive culture of discriminatory bias against Latinos” that “reaches the highest levels of the agency.” The department interfered with the inquiry, the government said, prompting a lawsuit that eventually led Mr. Arpaio and his deputies to cooperate. “We have peeled the onion to its core,” said Thomas E. Perez, the assistant attorney general for civil rights, noting during a conference call with reporters on Thursday morning that more than 400 inmates, deputies and others were interviewed as part of the review, including Mr. Arpaio and his command staff. Mr. Perez said the inquiry, which also included jail visits and reviews of thousands of pages of internal documents, raised the question of whether Latinos were receiving “second-class policing services” in Maricopa County. The report stems from a civil inquiry and Mr. Perez said he hoped that Mr. Arpaio would cooperate with the federal government in turning the department around. Should he refuse, a lawsuit will be filed and his department could lose millions of dollars in federal funding, Mr. Perez said. A separate federal grand jury investigation of Mr. Arpaio’s office is continuing, focusing on accusations of abuse of power by the department’s public corruption squad. Asked at a news conference about Mr. Arpaio’s role in the department’s problems, Mr. Perez said: “We have to do cultural change and culture change starts with people at the top.” Mr. Perez made a point of reaching out to Mr. Arpaio’s underlings. “These findings are not meant to impugn your character,” he said to the department’s deputies. 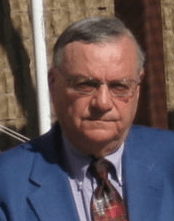 Mr. Arpaio, 79, who calls himself “America’s toughest sheriff,” did not immediately respond to the charges but he has brushed off similar accusations in the past. Long a lightning rod for controversy, Mr. Arpaio looms large over Arizona and beyond. His turf, Maricopa County, with 3.8 million residents, is one of the country’s largest counties in terms of both area and population. Republican candidates clamor for his backing, aware that he has become a potent symbol of the antipathy many Americans feel about illegal immigration. Before he endorsed former Gov. Rick Perry of Texas for president last month, Mr. Arpaio was courted by much of the Republican field, including Representative Michele Bachmann, former Gov. Mitt Romney of Massachusetts and Herman Cain, a businessman who has since suspended his campaign. The findings, which Mr. Arpaio is sure to contest, paint a picture of a department staffed by poorly trained deputies who target Latino drivers on the roadways and detain innocent Latinos in the community in their searches for illegal immigrants. The mistreatment, the government said, extends to the jails the department oversees, where Latino inmates who do not speak English were mistreated. “The absence of clear policies and procedures to ensure effective and constitutional policing, along with the deviations from widely accepted policing and correctional practices, and the failure to implement meaningful oversight and accountability structures, have contributed to a chronic culture of disregard for basic legal and constitutional obligations,” the report said. The report said that Latino drivers were four to nine times more likely to be stopped in the sprawling county, which includes Phoenix and its environs, than non-Latino drivers. The expert who conducted the study called it the most egregious racial profiling he has ever seen in this country, said Mr. Perez, the prosecutor.